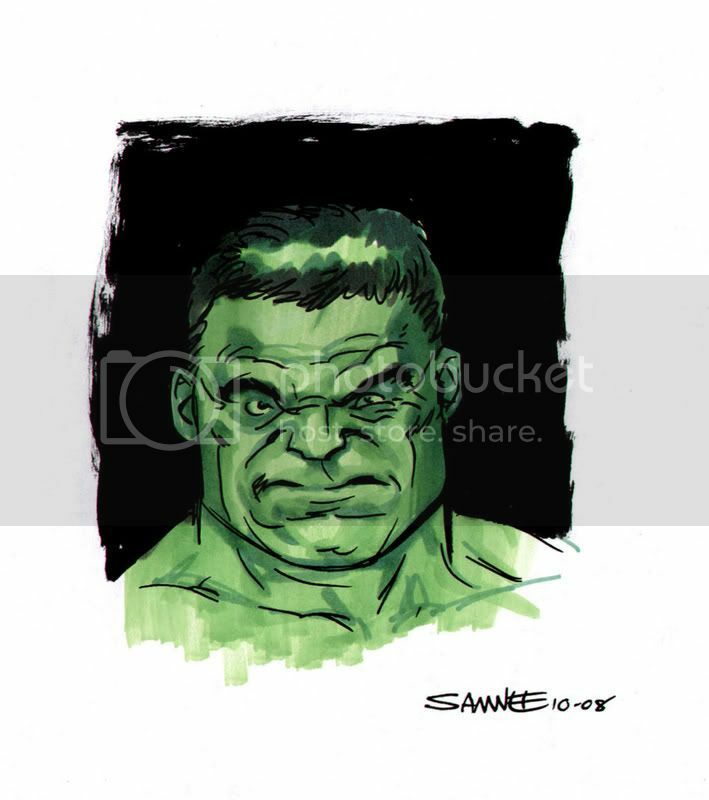 Chris Samnee: Technicolor Thursday: Hulk! Since I broke out the markers, and lost track of time with this one, it actually took me 10 minutes. This was done a little differently than a lot of my colored stuff. I actually put down a layer of light green first, layered on two darker green markers to give shape and add shadows to ol' Jade Jaws's mug. I finished it off by adding black marker and brush pen on top of the colors.